This attraction is currently closed. A remnant of the former Good Time Square Depot can be found on the station’s water tower. In 1973, Six Flags Over Texas added Good Time Square to the park. With the new area addition, Boomtown Depot's name was changed to Good Time Square Depot and sat near the entrance to the Good Time Square section. When the Mr. Freeze roller coaster made its 1997 debut at the park, Good Time Square shrunk to allow the eventual Gotham City section of the park to be created. 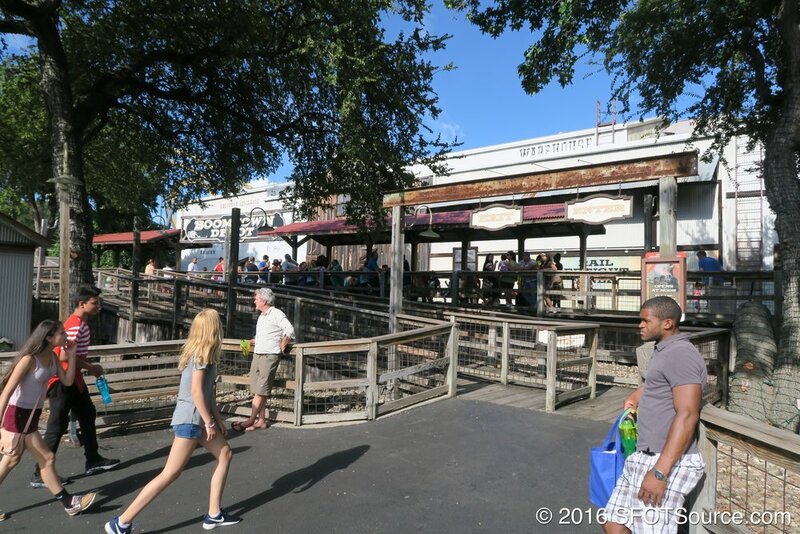 With this change the Good Time Square Depot was flipped to the inside of the train loop, placing it back into the Boomtown section of the park.